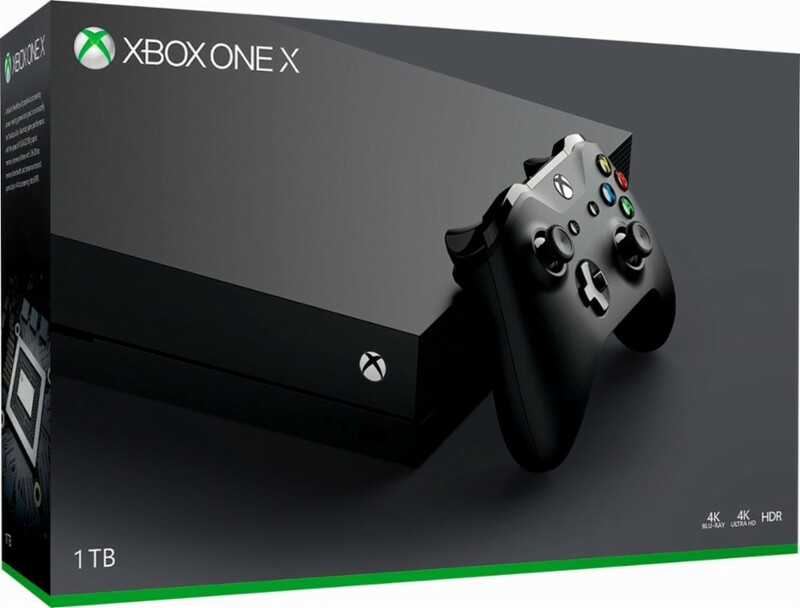 With 40% more power than any other console, experience immersive true 4K gaming. Blockbuster titles look great, run smoothly, and load quickly, and you can bring all your Xbox One games and accessories with you. Take 30 days to decide. We want you to be 100% satisfied with your Tronix Country purchase. At any time you can return an item in its original condition within 30 days from receipt and we’ll issue a refund. No questions asked. ^ 90-Day Same As Cash Price is the price you pay for the merchandise if you pay this amount within 90 days from when you're financed. Any promotional offers may not apply when exercising this option, but you still receive Reward Points for what you paid. Payment Plans and Total Costs: The advertised payment is the estimated minimum payment required to be made on your Tronix Country Account for a single item order. If you have multiple items then the advertised payment and term may not apply. All amortized payments may not be less than $9.99, which may shorten the expected time period for you to pay off the balance. We do not offer variable rate financing. If you purchase this item priced at $1,429.99 with a Weekly payment amount of $10.99 for 131 Weekly payments, the total you will have paid, including activation and shipping is $1,469.98. You can deduct $572.00 if you purchase this product using our Accelerated Payment Plan, which amortizes the payoff period to six months or sooner. This price also includes any free gifts you may receive based upon our Reward Points program. This total paid does not include if you purchase additional items or if there is a returned payment other fees are incurred. You will be presented with the total amount you will pay for your purchase using our 0% APR financing, according to Terms and Conditions. We do not offer variable rate financing.